Junior Sign On for 2018 - Every season we have multiple teams in each age group growing from 5 junior teams in 1977 to 50 junior teams in 2017, catering to any skill level. Refer to our website for appointed coaches and, proposed training days with times to be finalised. Registration Cost:- $170 per junior player with players in Under 6 & 7 team only $150 per player. All players in 2018 will receive a FREE training shirt and polo shirt to wear to the games valued at $80. All members also have the chance to win prizes to the value of $10000 with our annual Mega Raffle as part of our sign on fees (or sell the tickets to family or friends and get some of your fees back). Other Costs:- Purchase of Playing Shorts and Playing Socks (these have not changed from last year). Game Fees are payable at $10 per game played. NEW PLAYERS: Register online at playnrl.com and complete paperwork with Birth Certificate or Current Passport at club. TRANSFERING PLAYERS: Come into the club with Birth Certificate or Current Passport to apply. Please be aware the league have rules involved in players transferring clubs. PLEASE NOTE:- If you have registered to play club Rugby League, no matter where in the world or how long ago, you are a Transfer. Training Times:- Most teams train 2 nights per week between Monday and Thursday for around an hour. 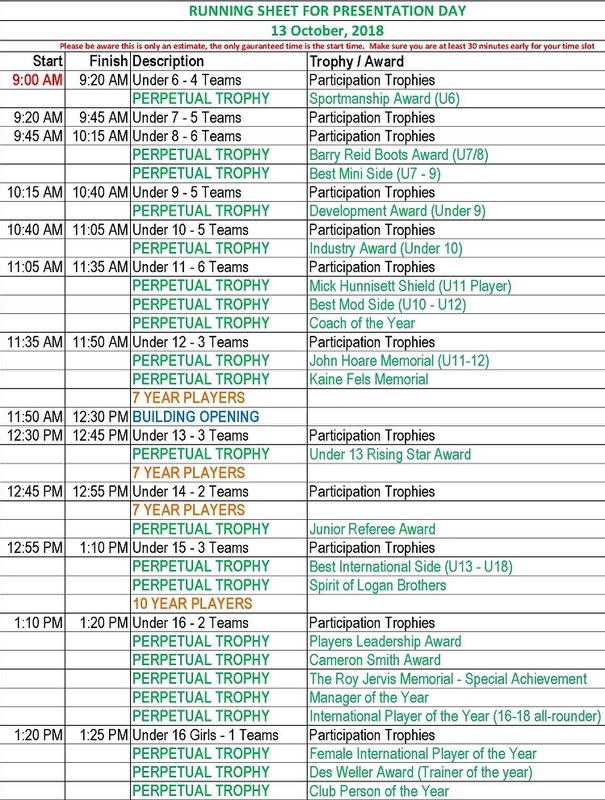 The younger players start at 5:00pm or 5:30pm with the older teams in the later time slots. 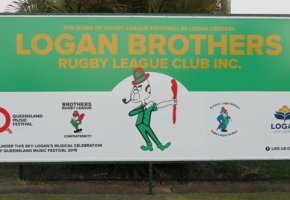 Save time and download a form from www.loganbrothers.com.au, have it filled outand bring it with you(1 form covers 3 children in an immediatefamily). Both the player/s and parent/guardian need to sign the paperwork when registering. COACHES Under 6 to Under 11 LISTED IN NO PARTICULAR ORDER. Please note we are still taking applications for further coaches U6 to U11. UNDER 6 - Taking applications. UNDER 7 - Cheyne Crellin, Jason McAlister. UNDER 8 - Dave Bradburn, Regan Burgess, Narns Tangatakere, Joshua Te Amo. UNDER 9 - Jeff Weatherall. UNDER 10 - Andy Faaaoga, Ray Parker, Kane Tapurau. UNDER 11 - Michael Eliu, Rob Lucas, Daniel Clancy, John Ferns/Fred Sanderson. UNDER 12 Premier - Shaun Martin. UNDER 12 Division 1 - Craig Walsh. UNDER 12 Division 2/3 - Taking applications. UNDER 13 Premier - Jason Skeen. UNDER 13 Division 1 - Taking applications. UNDER 13 Division 3 - Shane Leis. UNDER 14 Premier - Troy Egan & Mark Allan. UNDER 14 Division 1 - Greg Hugo. UNDER 14 Division 2/3 - Taking applications. UNDER 14 GIRLS - Taking applications. UNDER 15 Premier - Lincoln McLeod. UNDER 15 Division 1 - Ben Trim. UNDER 15 Division 2/3 - Taking applications. UNDER 16 Premier - Adam Bartolsic & Steven Bretherton. UNDER 16 Division 1 - Dwight Osborne. UNDER 16 Division 2/3 - Wes Armour. UNDER 16 GIRLS - Taking applications. UNDER 18 Nev Blair - Andrew Jamieson. UNDER 18 Division 1 - Taking applications. 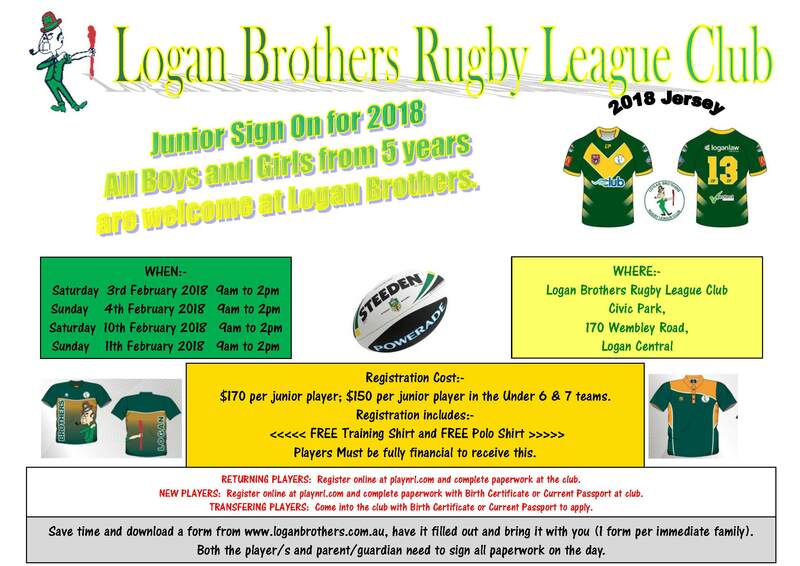 Time to start thinking about the 2018 season and joining Logan Brothers Rugby League Club opens. 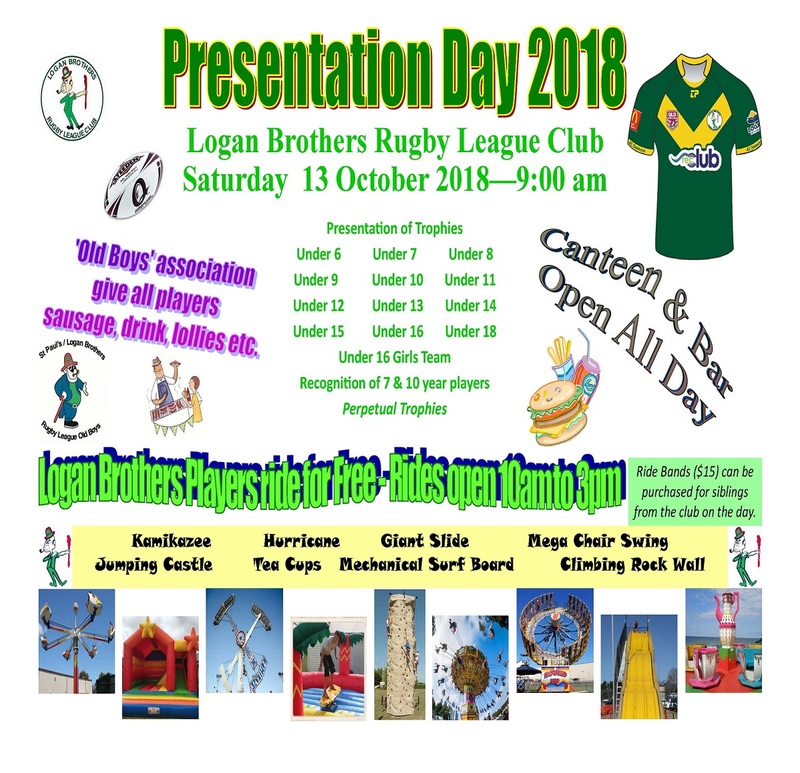 The club is inviting all players who are interested in playing Opens & 20s for the 2018 season to attend a meeting & information night. 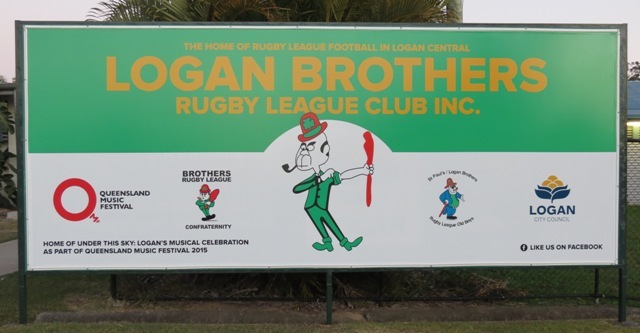 This will be held at Logan Brothers club house on Wednesday 15th November @6pm, BBQ and beverages provided. We look forward to seeing you there. Complete the form in full, have it signed off by 2 proposing members and drop it into the club. TO BE DRAWN 4 AUGUST 2018 @ 5:00PM To Be Drawn 7 July TBA - Hoping to include with opening of new building, but have been delays. Draw will proceed shortly. Trip to NRL Grand Final - Flights, Accommodation and Tickets to the game for 4.